Snow Days! We're closed 1PM and later Monday and all of Tuesday. We're closed due to snow after 1PM Monday and all of Tuesday. 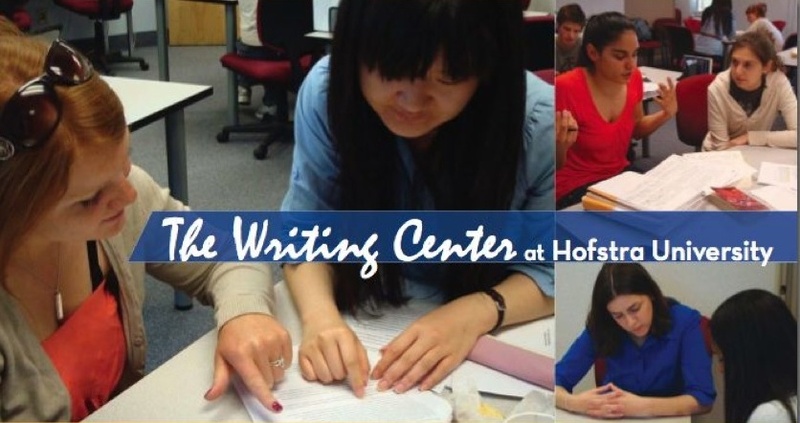 Please log back in at https://hofstra.mywconline.com to reschedule for later in the week. We apologize for the inconvenience! If the University closes for snow, so do we! Just a reminder--if the University closes for snow, so do we! In that case, we'll cancel your appointment and ask you to please log in again at https://hofstra.mywconline.com to make another appointment. We apologize for the inconvenience, but we hope you enjoy your day off in the snow! Mini-Break! We're closed Sat., Jan. 24th-Sun., Jan. 25th! The Writing Center will be taking a mini-break on Saturday, January 24th and Sunday, January 25th, since Axinn Library will be closed. Please plan your appointments accordingly, and we'll be back to greet you on Monday, January 26th for the start of the new semester! We're closed Monday, January 19th for MLK Day! The Writing Center (and Axinn Library) are closed on Monday, January 19th for Dr. Martin Luther King, Jr. Day! Please plan ahead to schedule your appointments accordingly, and enjoy the holiday! All of our January appointments are in 201G Axinn Library. To get to 201G, enter Axinn Library and take a left towards the cafe. Take the elevator to the 2nd floor and take a right into the large glassed-in area. We're the first cubicle on the right. See you soon!